Serenity Recovery Center promotes Dry January with steps for raising awareness about dangerous drinking habits. Beyond the possible health benefits named, participants may also gain increased insight into the impact of alcohol consumption on everyday life. Sometime in the early-90’s a University student decided he’d had enough December partying and vowed to give up alcohol for the month of January, or so the story of Dry January goes. Then, a couple of years ago, the UK-based charity group Alcohol Concern trademarked the term. The concept is simple: spend the first 31 days of the year abstaining from alcohol, then donate the money you saved to a worthy cause, such as alcohol awareness programs sponsored by the group. The rewards are multifold. In addition to the personal satisfaction of saving money to donate to those in need, Dry January has been generating health improvements in participants. A small study in the UK saw 100% of participants achieving noticeable health changes: improvement in liver fat (an indicator of liver health, as liver fat is a precursor for liver disease), significant blood glucose level improvements (a factor in later development of diabetes) and weight loss, to name some of the key benefits. 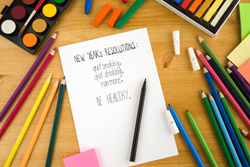 With the New Year and new goals, it seems Dry January fits the ticket: health improvement, financial improvement and weight loss all in one, decidedly simple plan. To aid interested participants, Serenity Recovery Center has created a guide for Dry January. With a little preparation, anyone can experience a successful Dry January. Beyond the possible health benefits named, participants may also gain increased insight into the impact of alcohol consumption on everyday life—direct effects, like the basic cost of alcohol, but also the indirect impact of a life that may include more alcohol consumption than an individual may be aware of. In some cases, participation in Dry January may unveil an underlying problem with alcohol, dependency upon alcohol, or dangerous drinking habits (such as drinking and driving). Participants, of course, need not have a problem with alcohol to reap the benefits of a Dry January. If you want to improve your health and save money, those are reason enough. An added benefit may be that if you have a friend or loved one who has struggled with alcohol dependency, a month of abstention may provide a statement of solidarity. Considering participating in Dry January? Check out the guide, available for free, on Serenity Recovery’s website.